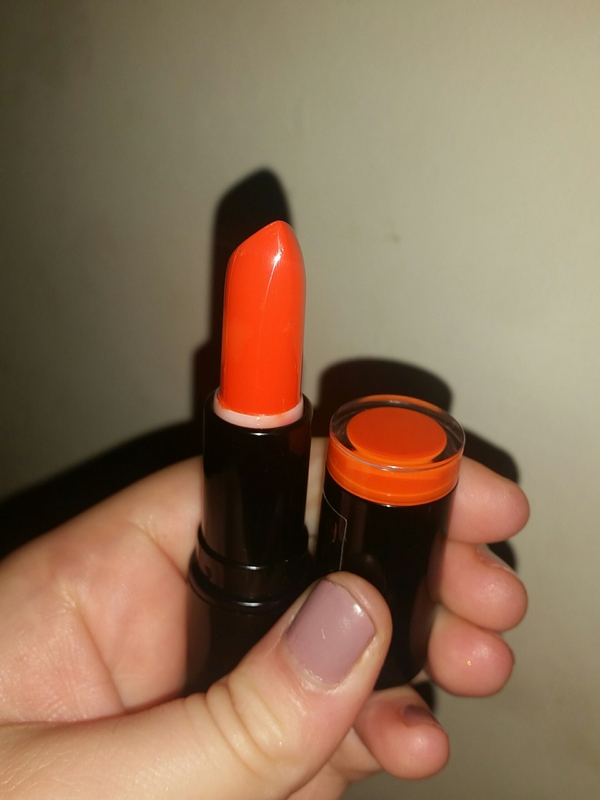 Orange is a colour I think of for summer fun and halloween but today my advent calendar decided to gift me with a rather shocking lipstick. Looking at it in the packaging I was a little terrified that there was no way I could ever pull a colour like this off. I feared it would be far too warm toned for my more neutral to cool undertones especially with the shine that I expected it to provide too. 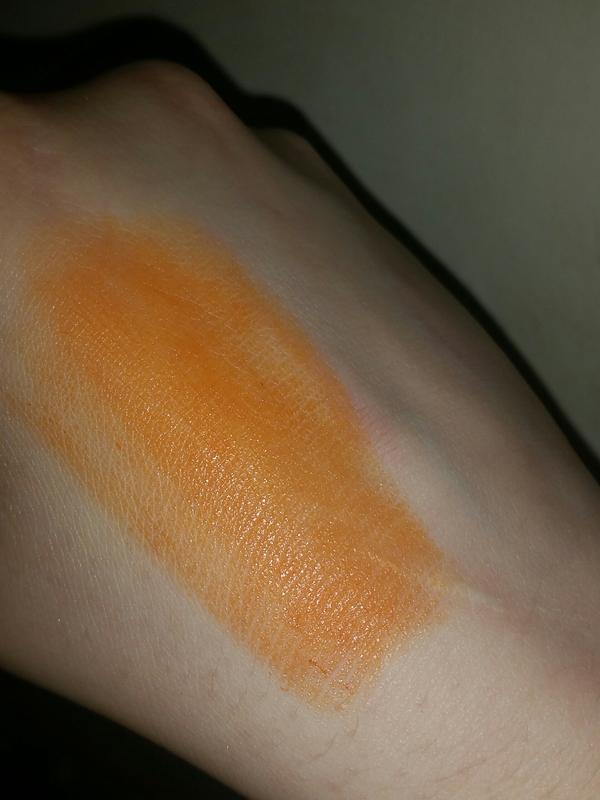 When I had swatched the lipstick onto my hand I was immediately reminded of a highlighter pen and became even more fearful of putting it on my lips because this swatch suggests that there is unlikely to be anyway to make this work without serious careful consideration of lipliner and gloss. But on the lips it doesn’t look as scary. I mean it is still certainly orange and I’m not sure I could ever convince myself to go outside in a colour like this. I feared it would make my teeth look faded and yellow but it actually enhances the white of them which is a bonus. 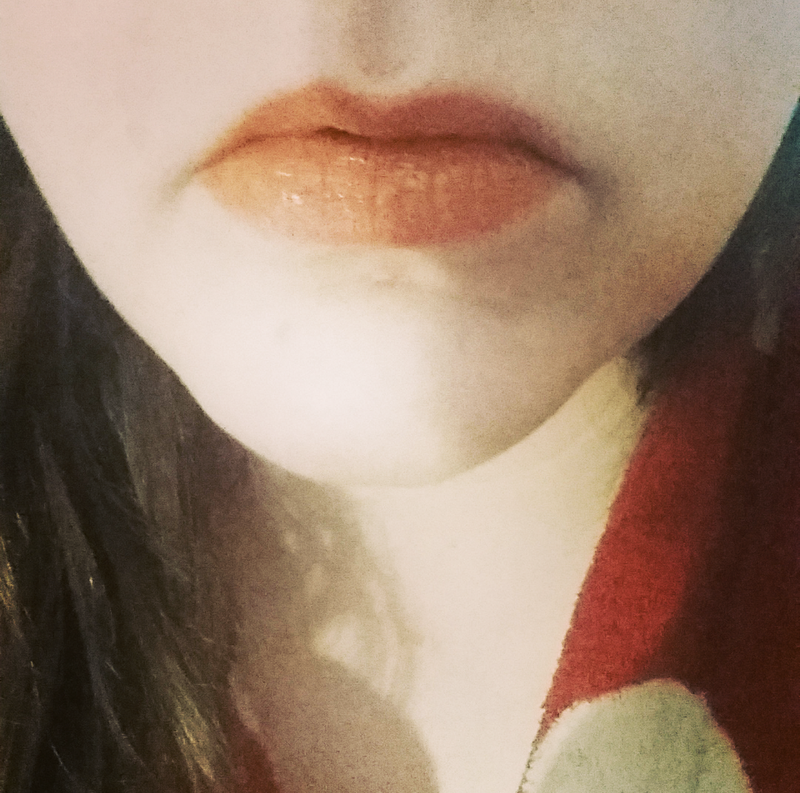 I think I actually could make this lipstick work with the right accompanied make-up look, lipliner and outfit. All I need is a hint of confidence and belief and I can totally rock this shade.. right? This entry was posted in Beauty, Make Up and tagged 2015, advent calendar, autumn, bblogger, bbloggers, Beauty, beauty blogger, beauty bloggers, beauty product, blush, bottle, bronzer, chirstmas red, christmas, christmas spirit, december, eye products, eyeshadow, eyeshadow palette, face products, fashion, fashion blogger, fashion bloggers, festive, gift, highlighter, lblogger, lbloggers, Lifestyle, lifestyle blogger, lifestyle bloggers, lip gloss, lip products, lipstick, Make Up, Make-up, makeup palette, makeup revolution, nail lacquer, nail paint, Nail Polish, nail varnish, nails, notd, orange, palette, partner, red, style, traditional, winter. Bookmark the permalink.